The Board of Supervisors and all the staff of Warminster Township would like to wish everyone a safe and happy Thanksgiving holiday. Please enjoy your time with family and friends. The Township offices will be closed from 11/22 through 11/25. 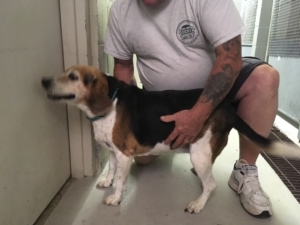 Owner has been found and been reunited! Thank you all for the help. 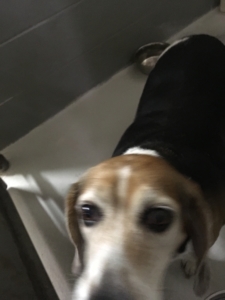 Sweet, energetic female beagle found on Brookdale Road in Warminster on 10/21/18. She is tri color, with no chip / collar. Has a growth on the back right leg. Please call 215-443-5000 if the owner is known. 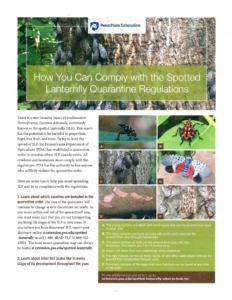 Need information on the Spotted Lanternfly? Check out PennState Extension helpful link. The Spotted Lanternfly is a new invasive insect that has spread throughout southeastern Pennsylvania since its discovery in Berks County in 2014. SLF presents a significant threat to Pennsylvania agriculture, including the grape, tree-fruit, hardwood and nursery industries. 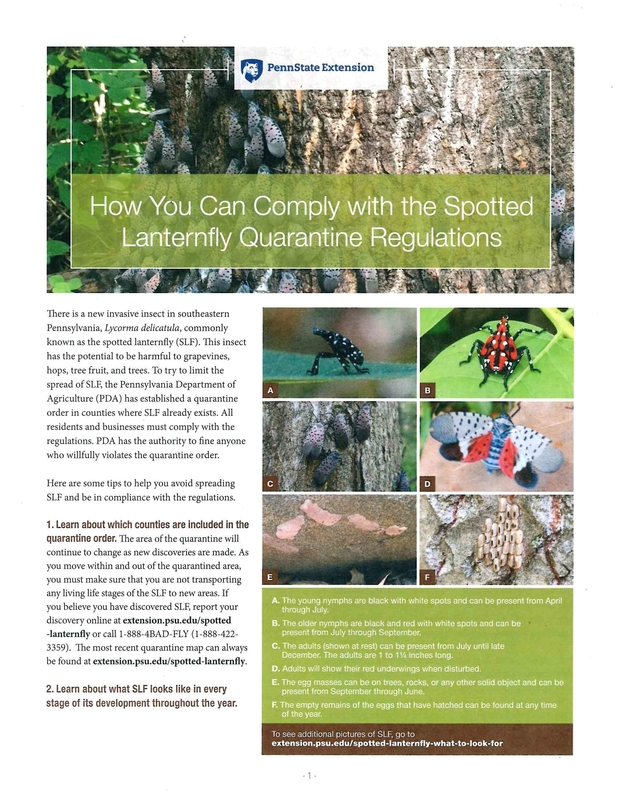 To learn about the Spotted Lanternfly, and what action you can take to stop the spread of this invasive insect that is threatening the northeastern United States, especially southeastern Pennsylvania, you can call the Penn State Extension hotline at 1-888-422-3359 with questions on spotted lanternfly management. For more information on how to identify, manage and report Spotted Lanternfly sightings, visit https://extension.psu.edu/spotted-lanternfly. The Board of Supervisors established a Budget Committee at the March 15, 2018 meeting to review and make recommendations to the Board of Supervisors concerning the Township’s financial outlook. There are five resident positions available. Interested parties should submit a letter of interest and/or resume to Gregg Schuster, Township Manager, 401 Gibson Avenue, Warminster, PA 18974 or by email to townshipmanager@warminsterpa.org.